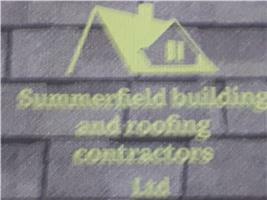 Summerfield Building and Roofing Contractors Ltd s a long established trusted business who pride itself on offering a polite, reliable and professional service from beginning to end. We offer free estimates and advice, and references from all our satisfied customers are freely available. The owner, Neil, is an advanced City and Guilds qualified carpenter having completed a full apprentiship with over 30 years experience in the construction industry. Neil prides himself on knowing all aspects of the building industry. We have recently completed two five bed detached houses which were built from scratch. Please give us a call to discuss your project requirements, we are here to help. Sevenoaks, Crowborough, Heathfield, Lewes, Mayfield, Tunbridge Wells, Uckfield, Wadhurst and surrounding areas.